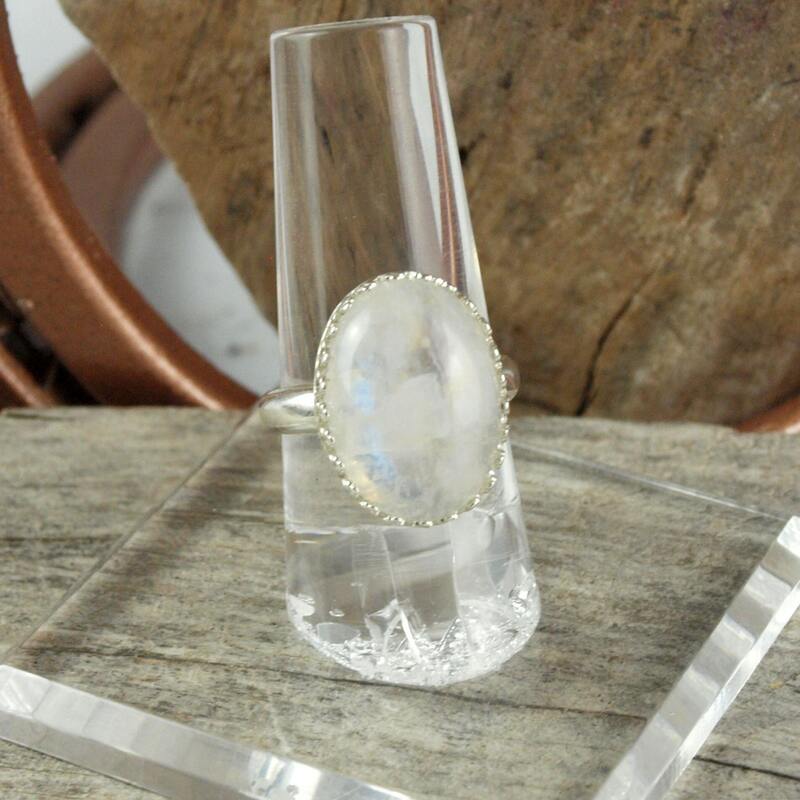 Sterling Silver Ring -Natural White Moonstone Ring -Statement Ring: This eye-catching sterling silver statement ring features a natural White Moonstone cabochon. 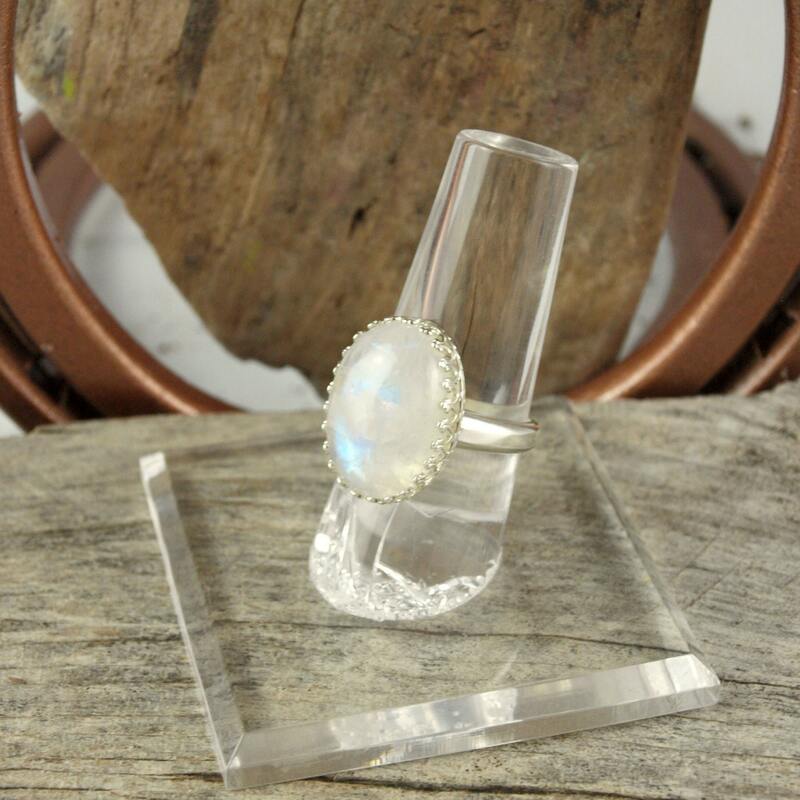 The White Moonstone is 13mm x 18mm. 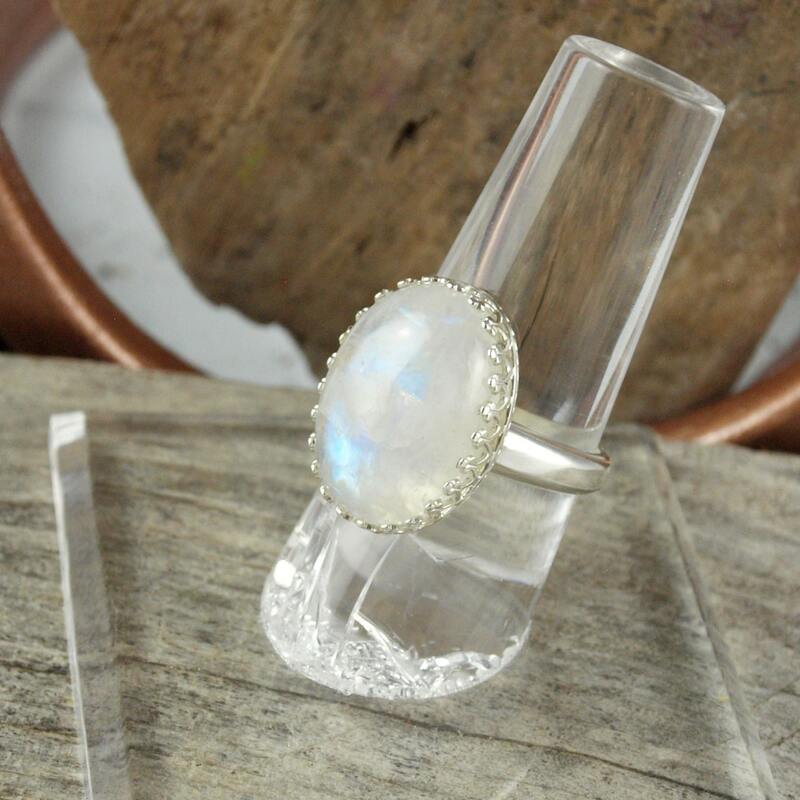 The band is 3mm thick on the bottom and 4mm thick where it meets the setting. 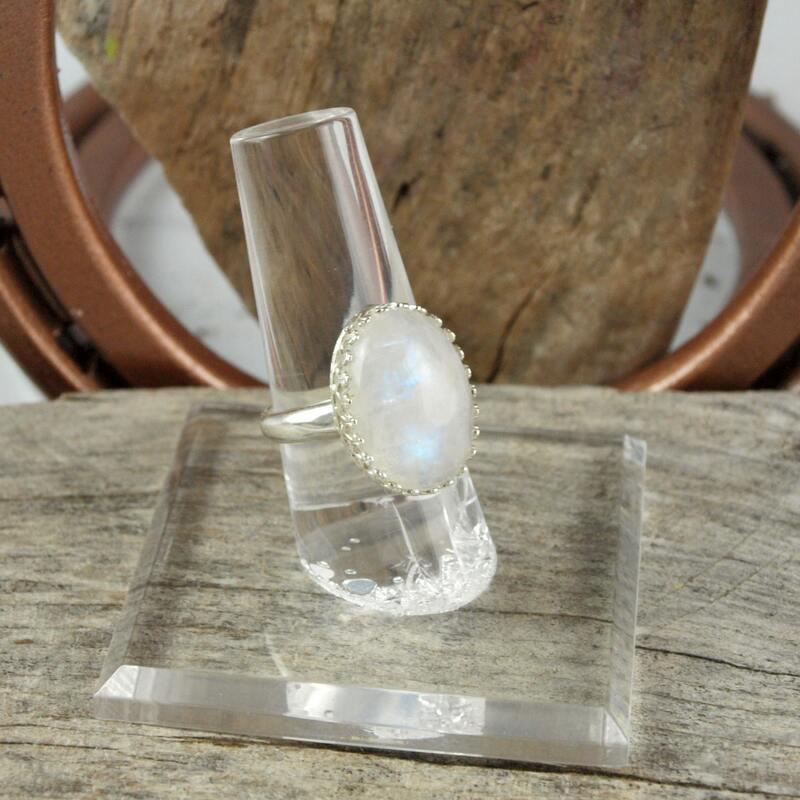 The Moonstone has a great white base with a brilliant flash of light blue luminescence This gorgeous ring will make a great gift idea! 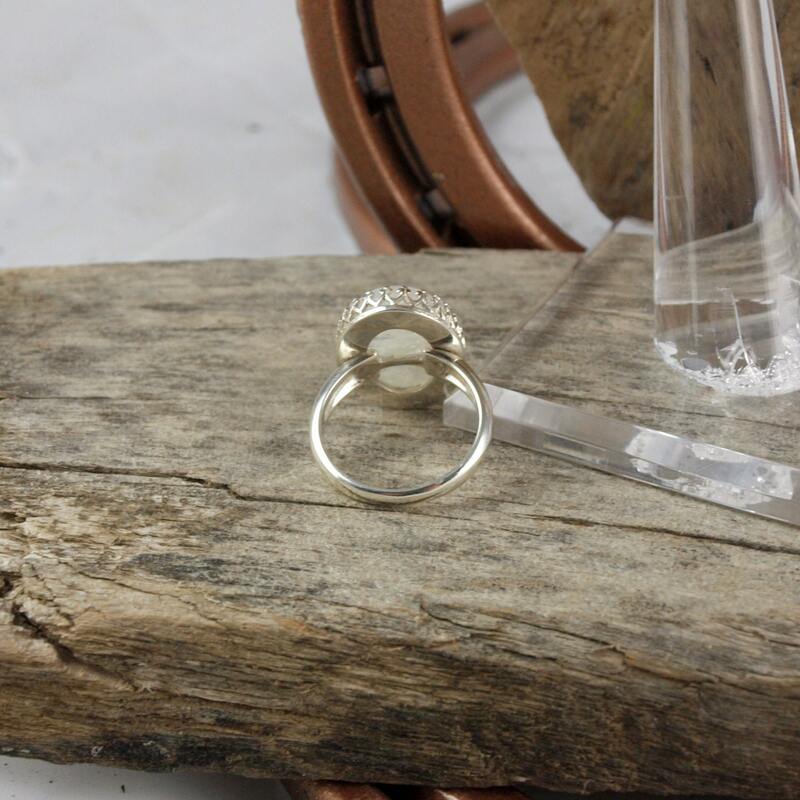 As with all our rings, we will ship this ring and an elegant gift box for no extra charge!